An O-ring seal on the probe fits inside the bushing to prevent the air leak. The bushing serves to hold the digital temperature and humidity probe (0572 2156) inside the display case. The probe bushing seals the opening in the base plate of the display case to protect the internal micro-climate. The display cabinet bushing for the temperature and humidity probe (0572 2156) is required to mounting the probe inside the display case. 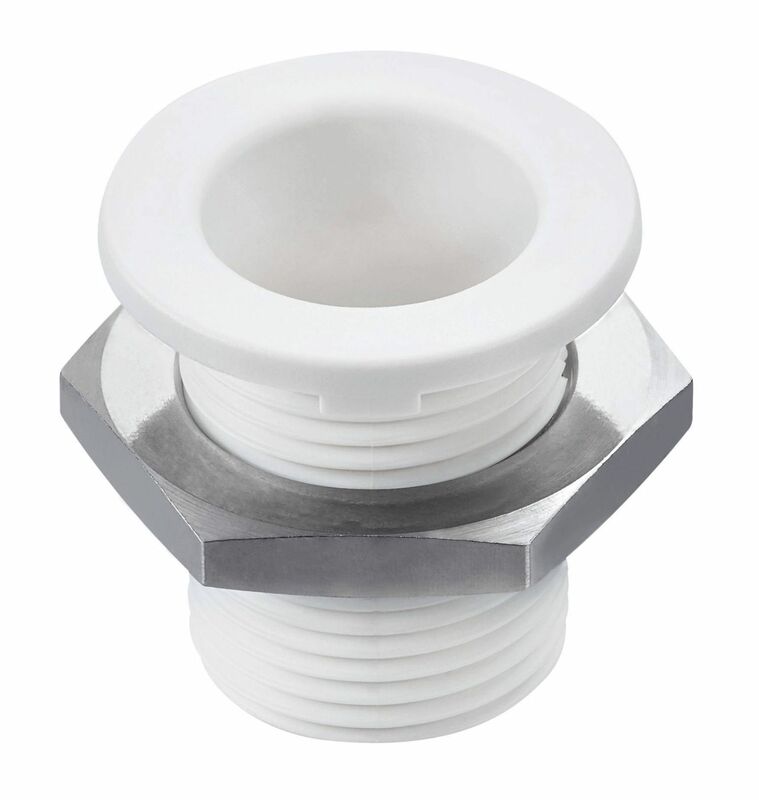 To install the display cabinet bushing in the base plate you will need a 20-mm diameter hole. The temperature and humidity probe inserts into the bushing and connects it to the Wi-Fi probe with an extension cable. The internal micro-climate of the display case will not be affected since both, the bushing and the temp/rH probe, are designed to prevent the air leak. Display cabinet bushing for humidity and temperature probe 0572 2156.